Josh Gordon is eligible to be reinstated, but NFL commissioner Roger Goodell says the situation has not crossed his desk. 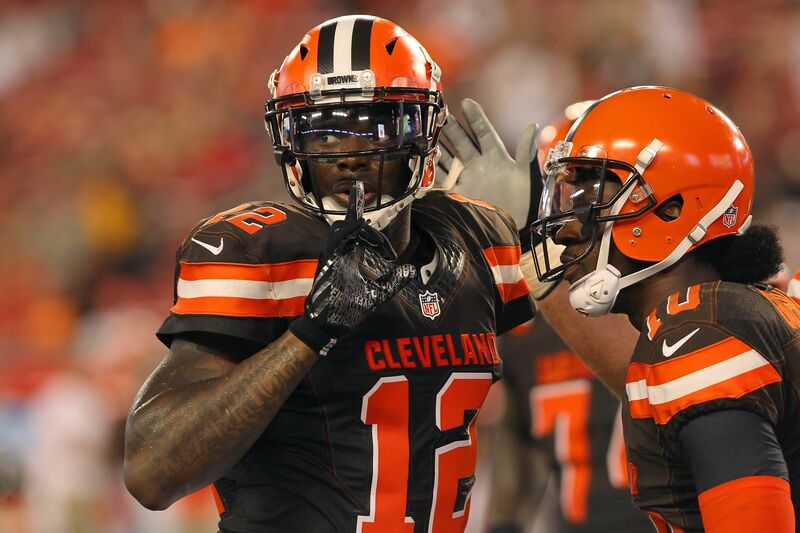 After missing a second straight season last year due to ongoing issues off the field, Josh Gordon was eligible to apply for reinstatement to the NFL in March. That application was denied in mid-May, with the option for Gordon to re-apply this fall. But his former team, Cleveland Browns, seem set to move on, due in part to a new head coach and front office than they had when Gordon was first around. They may welcome him back if he can get his life together and get reinstated, but there haven’t been any real developments on that front recently. NFL commissioner Roger Goodell appeared at a Browns’ fan forum in Berea, Ohio on Thursday, and due in part to a fan’s outburst the topic of Gordon’s reinstatement came up. Goodell’s answer, however, was not promising. The words “not under active consideration” and “hasn’t gotten to my desk yet” are quite damning for Gordon’s future in the NFL. He technically can’t re-apply for reinstatement until September, but it’s unknown if he will at that time or if he can even earn reinstatement. His most recent agent left him in late April, a couple weeks before his last application was denied by the league, which may point to some further issues that were not made public. The one time Gordon seemed to have every thing together, albeit after a two-game suspension for violating the league’s substance abuse policy, was 2013. In 14 games that season, he had 87 receptions for a league-leading 1,646 yards and nine touchdowns. Since then he has played five games, in 2014, and has not been seen on the field since. It’s unbelievable that Gordon is still just 26 years old. As rare as his talent was, at least for a season, his litany of off-the-field issues is also rare, however, in the negative direction.